In the 1950s, builders embarked on a massive roadway that cut through historic downtown Boston. As the downtown "Central Artery" rose in the mid-fifties, Bostonians realized, to their horror, it was not just a road but also a wallan immense unsightly barrier between downtown Boston and the city's historic North End and waterfront. 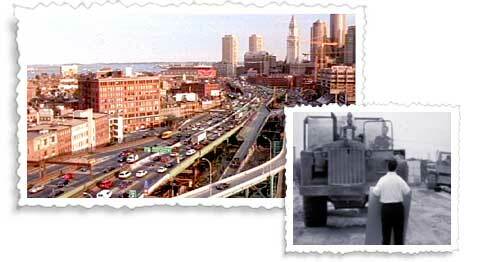 During the 1960s, a populist movement agitated against further highway building in Boston. How engineers contained and controlled the Colorado and Mississippi rivers.